We are devoted to providing you with the best quality and complete integrity at a fair price. We keep the overhead down and pass the savings on to you in the form of reasonable rates. We do not spend millions on radio advertising or luxury offices; instead, we work hard to become the best-known paver company in Orange County simply through word of mouth! We want you to refer us to your friends and family in the same way that we may have been referred to you: from a satisfied customer who likes our work and wants others to know about us as well. Because we take your work so seriously, we guarantee that you will be 100 percent satisfied. If there is anything you do not like about the job, we promise to fix it for free and work at it until it is right. You can see from our many Testimonials that we strive to do it right the first time! We keep the highest standards of integrity and ethics because we believe it is the only way to run a business. We carry workers' compensation insurance, follow all California standards and guidelines and are ICPI certified. Allscapes Paving is a construction firm providing complete exterior remodeling services for residential properties in the Los Angeles area. From simple hardscape installations to elaborate backyard and driveway designs, we build it all. We pride ourselves in providing hardscaping excellence, creative solutions and quality craftmanship - combined with the highest level of customer service - all geared towards client satisfaction. At Eminent Construction thanks to a simple yet effective "can-do" and "whatever it takes" attitude, we have rapidly succeeded in earning a reputation for excellence in delivering the best building experience for our customers. We believe in providing quality results for the right price and completing projects on or ahead of schedule and within budget. From simple repair jobs to large scale construction project, we build on your ideas. We add our home improvement and remodeling knowledge, expertise and integrity to your ideas as we construct your dream home and produce an end result that we both will be proud of. 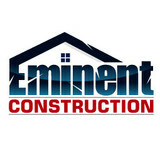 We, at Eminent Construction understand that in home remodeling, the process is as important as the outcome. We guarantee the use of best materials and employ craftsmen who specialize in projects that require expertise and in-depth coordination such as: kitchen or bathroom remodeling, an addition, any type of hardscape design and complete house renovations. At Bulldog Paving we specialize in the design and installation of concrete interlocking pavers for residential and commercial, landscape and hardscape projects. We believe that the use of paving stones for your next driveway, patio, walkway or pool deck is going to enhance the overall appeal of your property. So, if you would like to set up a free consultation for your new paver installation or perhaps you want to seal your existing pavers? Then contact us today and we will discuss all of your options! 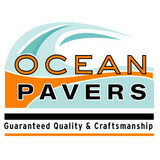 Quality Pavers is a family owned and operated establishment. Servicing All of Orange County with Honesty, Integrity, and Quality You Can Trust. We are Southern California's Premier Pavers Specialist. 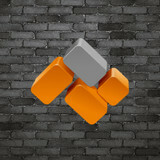 Coastline Masonry is a leading masonry company in Long Beach. Our professionals specialize in custom masonry, driveways, walkways, and walls. For the last 25 years we have worked on hundreds of masonry and concrete projects, and we continue to exceed the expectations of our clients. Dodge Concrete Construction excels in making concrete projects functional and aesthetically pleasing. Let our experts turn your residence into the dream home you have always wanted! Concrete Etc., Inc. is a Los Angeles based Concrete and Masonry Construction Company that started with a vision, some determination, and now it has manifested into what it is today. A reliable company whose word means everything. With integrity and loyalty, Concrete Etc takes every step to make sure that every project is a successful one, and that every client is satisfied. We have been serving the Los Angeles County and surrounding areas with the finest and most elegant concrete and masonry. 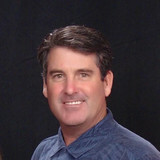 We are a third generation Los Angeles based company backed by over 30 years of experience. 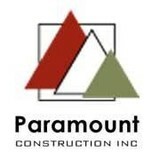 From residential to commercial, we are here to provide and service our clients with all of their concrete needs. We invite you to take a look in our gallery. Pictures hold more than a thousand words and speak for themselves. We try to stay consistent with updating our galleries, that way you could have a different experience on every visit. Remember, "everything is possible and nothing is impossible". At Haven Design + Build we design and build outdoor spaces suited to your style and needs. Whether you love to entertain, or need a durable kid friendly yard, we take the time to design a beautiful space that you can enjoy for many years to come. It's not just your home, it's your haven. From installation to repair, San Marino, CA driveway contractors are responsible for a variety of planning, installation, construction and driveway maintenance services. Driveway materials. While most driveway contractors in San Marino, CA primarily work with asphalt, they are also experts on the wide range of available driveway materials. If you are looking for something different than a standard asphalt driveway, your pro can help you select driveway pavers or customize a brick driveway design. A driveway installation and maintenance professional may work closely with a San Marino, CA builder, landscape professional or various manufacturers and suppliers. Find a San Marino, CA driveway installation and maintenance professional on Houzz. Narrow your search in the Professionals section of the website to San Marino, CA driveway installation and maintenance. You may also look through San Marino, CA photos to find examples of driveways that you like, then contact the professional or contractor who worked on them.